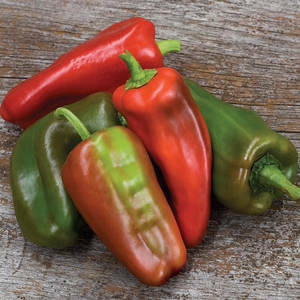 Peppers hot or peppers bold – whatever the flavor you’re looking for, this helpful chart will make sure you’re growing the best pepper for you! Burpee has a wide assortment; ask for them at your nearest garden center. Hot. Add zest, flavor and heat with hot peppers. 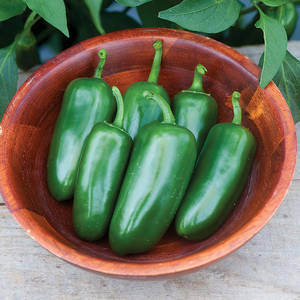 With selections that range from spicy to sizzling, in a variety of shapes, textures and colors, they can be used fresh, cooked or dried. Sweet Bell. These blocky, multi-lobed varieties range from green and red to yellow, orange, purple, white and even chocolatey brown. Excellent eaten fresh, bells are also a favorite for stuffing and other culinary uses. Sweet. 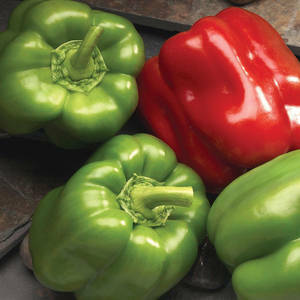 These sweet non-bell peppers come in a tempting array of shapes, sizes, colors and flavors for eating fresh or cooking. Very low in calories, they are extremely high in Vitamin C.